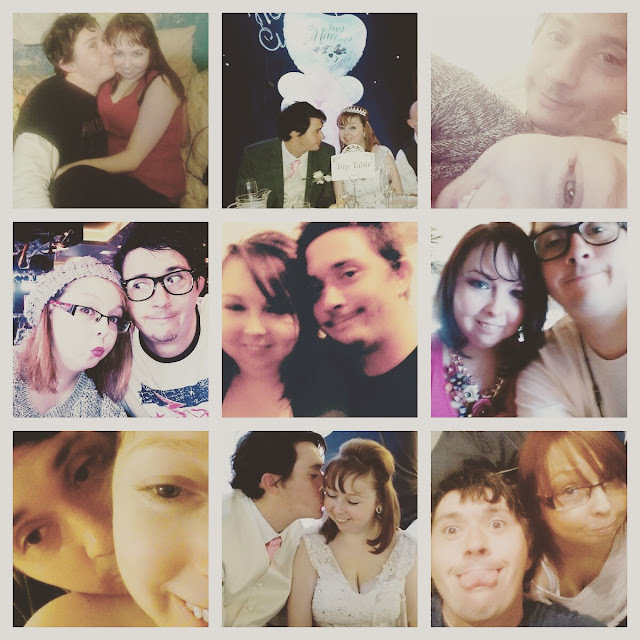 I've been tagged in The Boyfriend Tag, well I don't have a boyfriend but I do have a husband so I ropped him into doing this tag with me as he's been my boyfriend in the past obviously so I think it's pretty much the same. Q1: Where did we meet? Phil: We met at a friends house. Q2: Where was our first date? Phil: We started at a local pub in Prescot, then went to see The Hangover 3, and then went to Pizza Hunt in St Helens. Q3: What was your first impression of me? Phil: You were timid, quiet and reserved. Q4: When did you meet my family? Phil: Your 21st birthday party. Q5: Do I have any weird obsessions, if so - what? Phil: You have a weird vampire obsession. A weird detestation with green, an obsession with the colour pink, with candles, cushions, and Nicholas Sparks. Koka noodles! Alisha: Weird vampire obsession? Haha! Q6: How long have we been together? Phil: We've been really close best friends for about five or six years but officially been together for over two years. Q7: Do you have a tradition with me? Phil: We've started a tradition that every Christmas Eve we go to church and light a candle for all the people who can no longer be with us at Christmas time. Q8: What was our first road trip? Phil: We drove down to Llandudno and had a weekend there with friends. Involving karaoke, two-pence machines, a very pair of wet (now ruined) ballet flats and a small train. Q9: What was the first thing you noticed about me? Phil: You were a pretty girl with really long hair. Alisha: Aww, thank you. But my hair wasn't that long! Q10: What/where is my favourite restaurant? Phil: The Grapes Pub, in St Helens? Alisha: Wrong, it's TSO's in Liverpool. Q11: What do we argue about the most? Phil: Anything! How you're right and I'm wrong. How certain things should get placed. About where a bag of pegs go! Alisha: I think that everything in our home should have a place to go and if it doesn't have a place then we don't really need it. Q12: Who wears the pants in the relationship? Q13: If I am watching tv, what am I watching? Phil: Eastenders, or Jeremy Kyle. Q14: What is one food I do not like? Phil: I bought it raw from a butchers and you wouldn't eat it. Alisha: Because you wanted me to eat it raw! Phil: Yes, like most people do when they put it on a sandwich. Phil: Peas. Custard and peas. Q15: What drink do I order when we go out to eat? Q16: Wht size shoe do I wear? Alisha: Correct, three or four. Q17: What is my favourite kind of sandwich? Alisha: You were half right; sliced chicken with lettuce on brown bread. Q18: What is one talent I have? Q19: What would I eat everyday if I could? Phil: Koka noodles, beef koka noodles. Q20: What is my favourite cereal? Alisha: Wrong; coco pops with warm milk. Q21: What is my favourite music? Phil: Pop punk or pop rock. Q22: What is my favourite sports team? Q23: What is my eye colour? Q24: Who is my best friend? Phil: Alright, well then, your mate Lauren. Q25: What is something you do that I wish you didn't? Phil: Touch my feet, leave cupboard doors open. Q26: Where am I from? Q27: What kind of cake would you bake me on my birthday? Alisha: If I don't get a home-made pink fairy cake for my birthday this year, I will be rather disappointed. Q28: Do I play any sports? Q29: What can I spend hours doing? Q30: If I could live anywhere, where would it be? I hope you all enjoyed reading this tag and getting to know my husband Phil more, thank you to everyone who asked me to do it and tagged me in it.